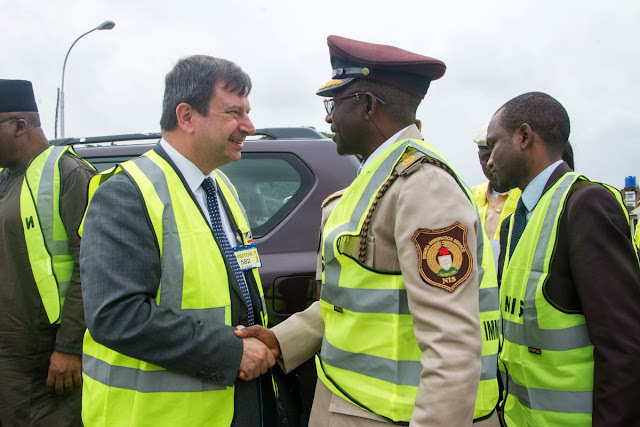 The British High Commissioner to Nigeria, Paul Arkwright was joined by Nigeria’s Minister of Interior Abdulrahman Danbazau to commission a newly constructed immigration Returns Reception Centre at the Murtala Mohammed International Airport, Lagos built by the UK government for the Nigeria Immigration Service (NIS). 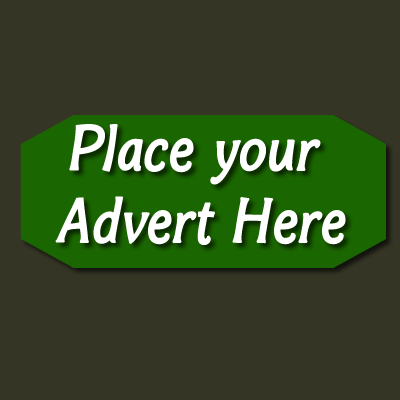 The event took place on Wednesday, July 13. The facility, constructed as part of the UK government’s flagship partnership with the NIS, is within the cargo terminal of the airport and will be used to process immigration returns on arrival. 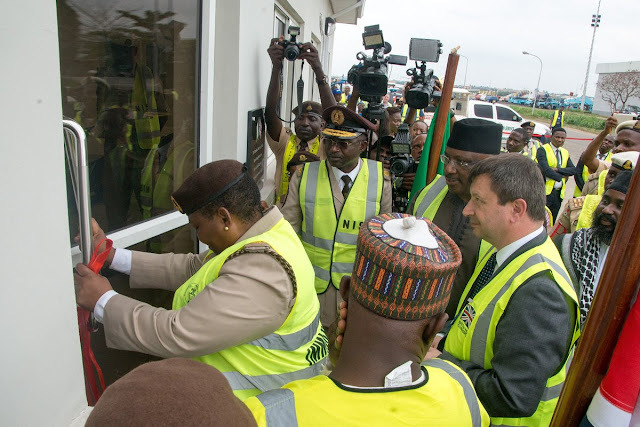 It will also serve as a bespoke training facility for the Nigeria Immigration Service. 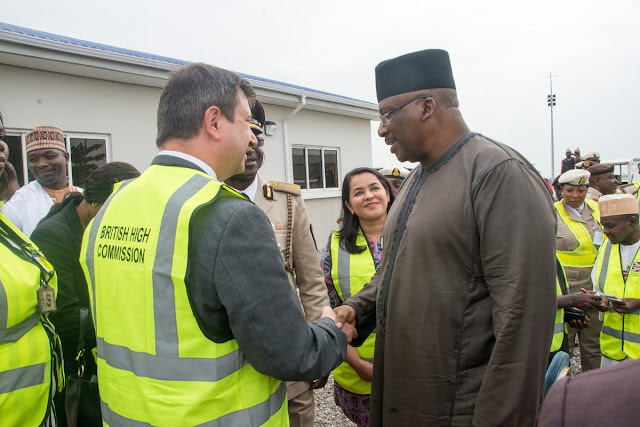 In his speech during the commissioning, the British High Commissioner expressed delight in witnessing the special occasion of the first use of the Returns Reception Centre and restated UK commitment to the long standing co-operation with Nigeria on different areas, including migration. “Nigeria is a valued partner to the UK and we have made real progress on issues that are important to both our countries. 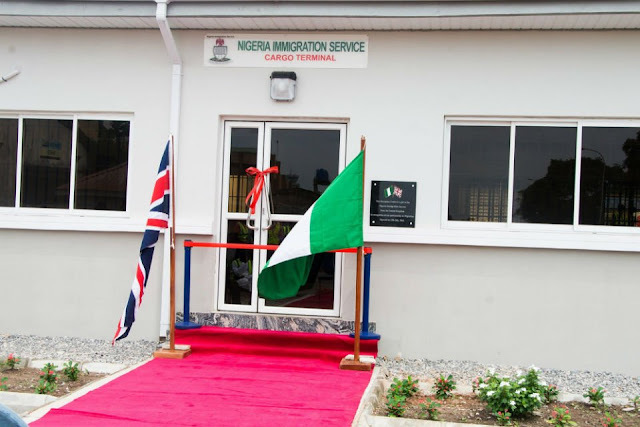 Our migration relationship brings many benefits to the UK as well as Nigeria. The UK committed, formally, to building this facility at the start of 2015 as our gift to the Nigeria Immigration Service, at a substantial cost.